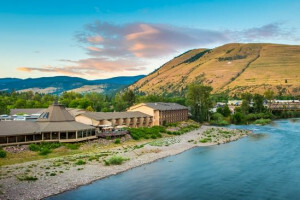 Also referred to as Idaho's Northwest Passage Scenic Byway, the Lolo Pass road connects Lolo, Montana to the top of Lolo Pass and follows the Lochsa River to Kooskia, Idaho. Why should I drive the Lolo Pass Scenic Byway? History: Before you drive over the pass, stop by the Travelers Rest State Park to learn about the history of the area. The Lewis and Clark Expedition followed the Lolo Trail in 1805. Lumberjack Saloon: About 18 miles from Lolo, Montana, turn north onto Graves Creek Road. The Lumberjack Saloon is a great place to stop for a burger and beer after driving the scenic byway. 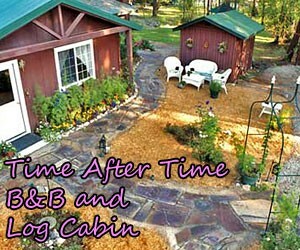 Lolo Hot Springs: The year-round Lolo Hot Springs and Lodge are not to be missed and fun for the whole family. Lolo Pass: Lolo Pass is a hub for recreation. Hiking and horseback riding trails are easily accessible and in the winter you can enjoy snowshoeing and snowmobiling. Lochsa River: This lush river is known for fantastic whitewater rafting day trips. Join a guided rafting trip or fish from the river banks. Camping and Hiking: A number of hiking trails and campgrounds are managed along this corridor by Lolo National Forest. 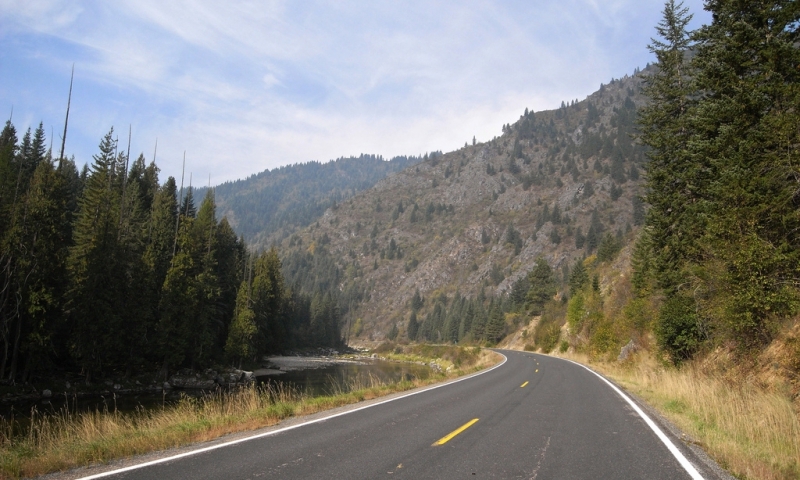 Selway River: At the confluence of the Selway and Lochsa Rivers, forming the Middle Fork of the Clearwater River, the Selway Road follows the Selway River for 18 miles. If you have some extra time, follow this road for some great fishing opportunities and for a peak at the Selway Falls, an impassable waterfall. Where does the Lolo Pass scenic drive begin and end? Highway 12 connects the towns of Lolo, MT (just south of Missoula) and Kooskia, ID. Drive Hwy 12 when entering or leaving the Bitterroot Valley or just enjoy it as a day trip by driving out and back from Lolo for as long as you like. How long does it take to drive over Lolo Pass? This 132 mile stretch of scenic road takes about 2.5 hours to drive one-way. You can get gas in the small town of Lowell, on the west side of Lolo Pass, but fill up and stock up before you go. There are very few services along this route.